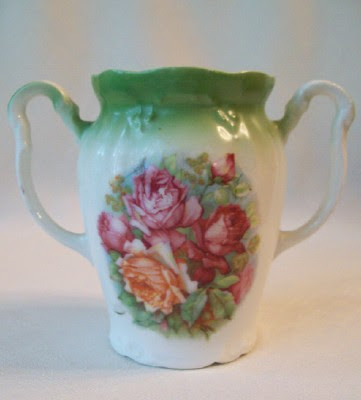 Bella Rosa Antiques: Brand New Finds ... In Pink! Where did the time go this week? I have been surrounded by gloomy days and rain this week so a little bit of pink is just what I need to brighten my day! Here are a few pinks I'm about to list very soon. They haven't even been seen by anyone else yet! Don't you feel special? 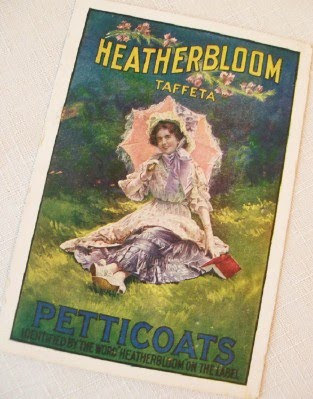 In case you haven't noticed...I have a thing for antique postcards. This one is a charmer. 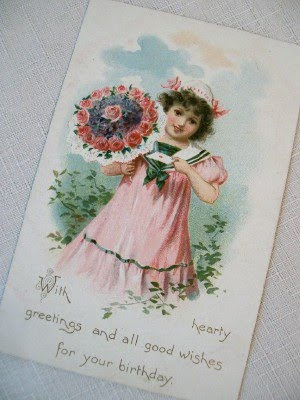 A beautiful TUCK'S postcard... her pink dress is so sweet! 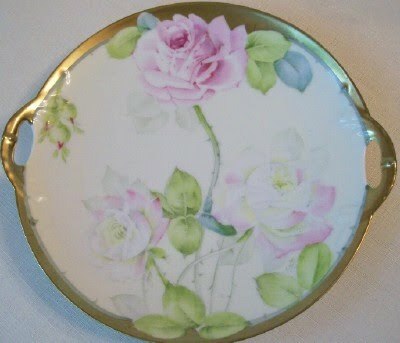 Pink rose on a gorgeous Bavarian china plate...gold gilded edges. 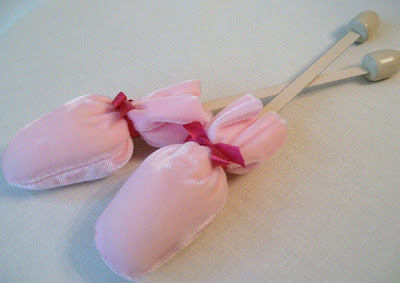 And a sweet pair of pink velvet shoe stretchers...scented too! these "new finds" and more will be listed on my site soon. For more pinks check out How Sweet the Sound. All these are wonderful things! I like the first card. Your vinage cards are beautiful. I keep looking for them, but they are hard to find in these parts. Love your post. So pretty for PS. 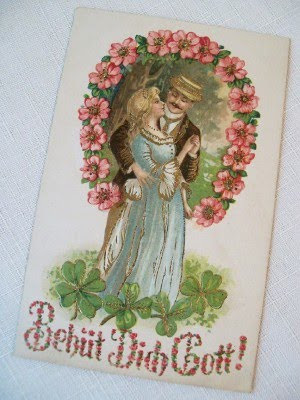 I love the colours on vintage cards and your are just gorgeous. Happy ps!! Love your vintage finds! I enjoyed seeing all the pinks that you enjoy. Love the pinks you have chosen to list...especially the shoe stretchers. I at first thought they were velvet slippers! Very nice cards also. Use google language translator to find out the translation, sweetie. Love all of you vintage goodies! It sure has been a rainy gloomy week..but we have some sunshine today! I love that rose transfer piece. I wish I had a whole collection of that. What a gorgeous share. The rose transfer piece is my favorite, but I sure did love those velvet stretchers as well. They look simply divine. Love your newest Pink finds....I am fond of those old post cards, too! Hope you have great Pink Sat! Fabulous finds! I love the 2 handled vase!! Happy pink weekend! I love your vintage cards! I have a few myself and I am trying to collect more. So glad I stopped by. Have a wonderful week.